The proper amount of tea leaves to be placed in the teapot depends on the shape of tea. 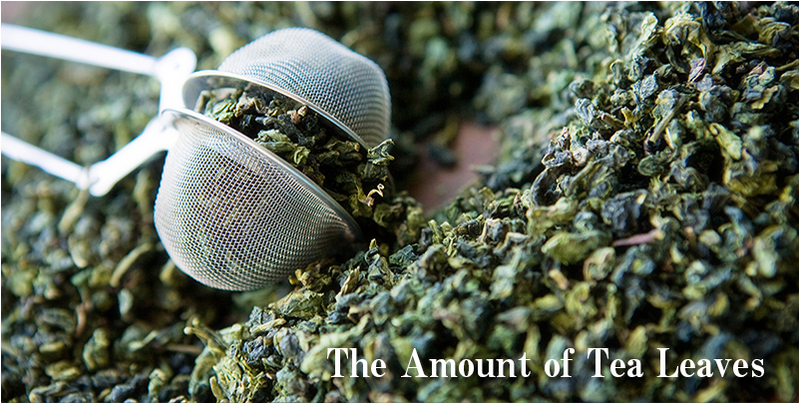 The twist shape of tea leaves should be filled to about 1/6 of the tea pot's capacity. The tight ball shape of tea leaves should make it full and flat under the bottom of teapot. Normally, the tea leaves will expand when they are brewed. In some circumstances, the teapot will be over-stuffed if you put too many tea leaves. The tea leaves cannot be open fully. 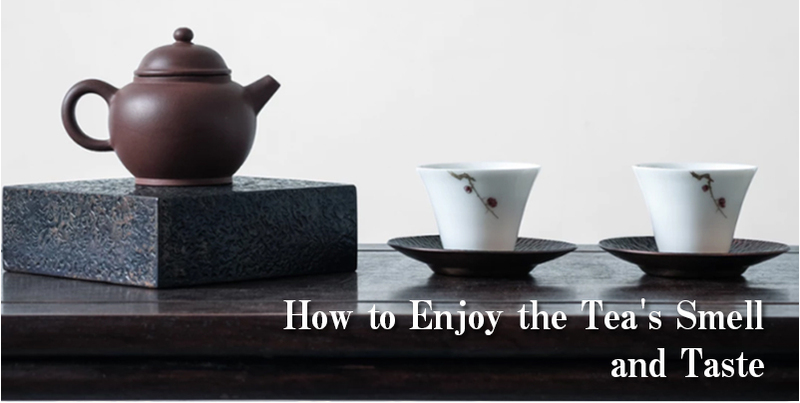 General speaking, the leaves should fully be expanded and be filled up the teapot to about 90% capacity when the degree of tasting tea is better. 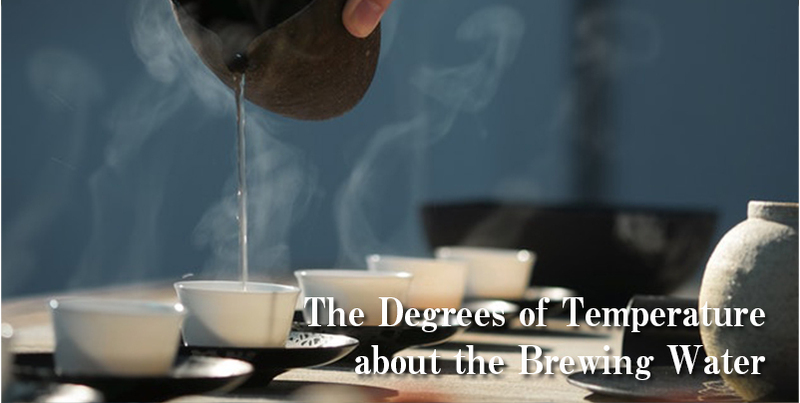 The temperatures of water depends on what kind of tea being brewed. Generally there are three levels of temperature to be considered：(1) The water should be above 95 degrees Celsius for Black tea. 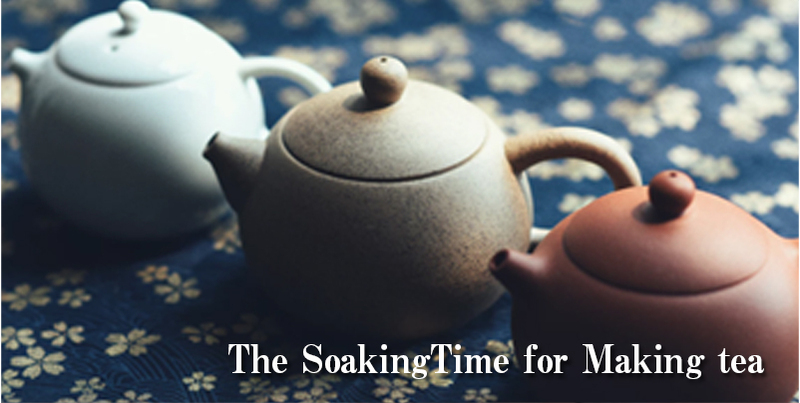 (2) The water should be between 90 and 95 degrees Celsius for Oolong tea. (3) The water should be between 80 and 90 degrees Celsius for flower tea. The floral scent will be damaged if the temperature is too high. Determining the concentration of the tea is about the brewing time. It depends on the quantity of tea leaves. Usually it takes 30 seconds to a few minutes at least, and you can increase the time according to the preference. When you pour the warm water into the teapot, do it carefully but not over-pour to avoid the tea has lost its flavor. The warm water helps to expand tea leaves, release the taste, and eliminates the over-burnt flavor when making and roasting the tea leaves. On the other hand, placing tea leaves in cold water directly will liberate the flavor of the tea. But it takes time¸ it normally be brewed for more than 8 hours in the cold water. It is not convenient, but the tea has a special taste. 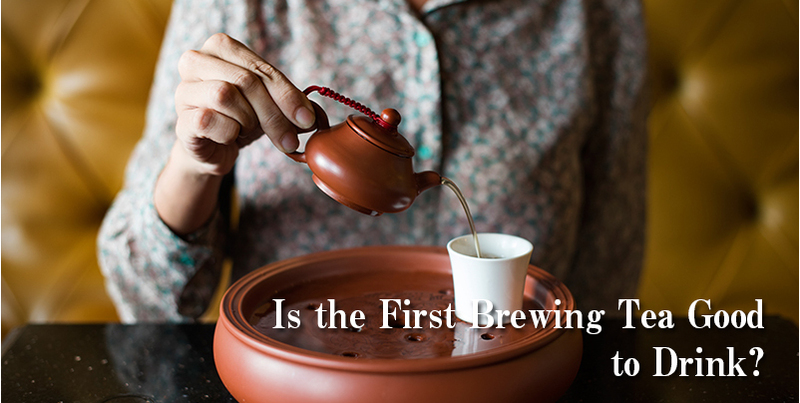 It is fine to drink the first brewing tea because the mineral content is the highest in the first brewing tea. In addition, all tea have been sterilized during the procedure of making tea. There is no problem about the first brewing tea. 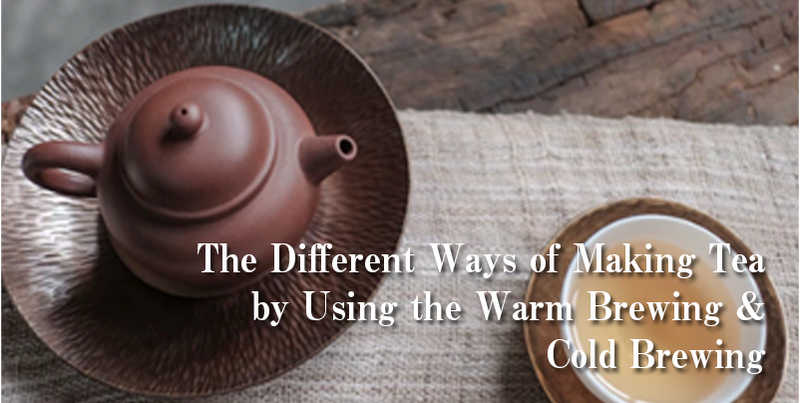 We have aromatic cups and drinking cups when drinking the Chinese tea traditionally. Pouring the tea from the pitcher into the aromatic cup, and pouring from the aromatic cup into the drinking cup. Twisting the aromatic cup and enjoying the lasting aroma before drinking. Taking a sip of the tea, and immersing in the aroma and the smooth of it.